Specifically formulated to immerse dry and dehydrated skin with long lasting moisture to leave skin smooth, plump, comfortable and beautifully healthy. Perfect for skin with a tendency to feel tight and taut particularly after cleansing and contact with water. This cream not only provides immediate moisture but is cunningly formulated with an osmotic regulator that carries water deep into the skin and releases it when extra hydration is needed. Phytostimuline from Beech Bud and Hyaluronic Acid further increase the skins moisture retaining ability. Ceramide, phospholipids and Omega 6 boost the skins repair function to help restore softness, elasticity and optimum comfort whilst RENs Global Protection Complex helps purify the skin and protect against premature ageing. This is one of the best moisturiser in this price range. Easily absorbed, great smell and long lasting moisture! Used this for the first time after exfoliating. My skin was perfect — beautiful, even — all day long. The next day I broke out in spots. This moisturiser is unbeatable if your skin can handle it. Just wish I could use it. Bought 3 tubes in a row so must be good. Changed to Anthony for the summer months but come winter come REN! This stuff has worked great for my dry skin. Skin feels soft and smooth. Not oily either. I bought this for my husband because he has very dry skin but doesn't like using "products". 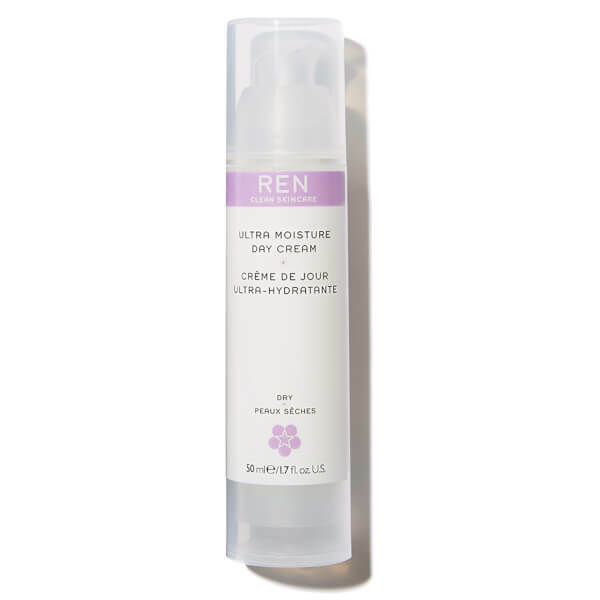 The REN packaging is unisex and the contents are really worth the money- this is lovely rich moisturiser. Only need a little bit, as this is tremendously moisturising and complements the Chamomile sensitive milk wash well. Leaves skin feeling refreshed, but not shiny, and mild too.